Rob Hindle is a writer and academic based in Sheffield. He's particularly interested in how his writing can help bring history to life. 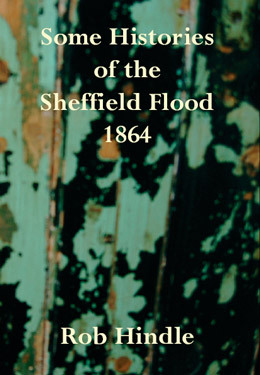 And this collection of poems is about the Flood. He provides snapshots of the lives of those affected by the tragedy: whether survivors, media observers or the dead. Each poem is poignant and evocative: sometimes because they are truly mundane in tone, describing the day to day as disasters looms, and the character has no idea of what is about to befall them. But he also portrays all the deformities, tin pans, wrought iron, smog and disease of Victorian life. Nineteenth century existence, warts and all. The first person narratives are interspersed with snippets and announcements from the archives. This is a powerful and moving collection.